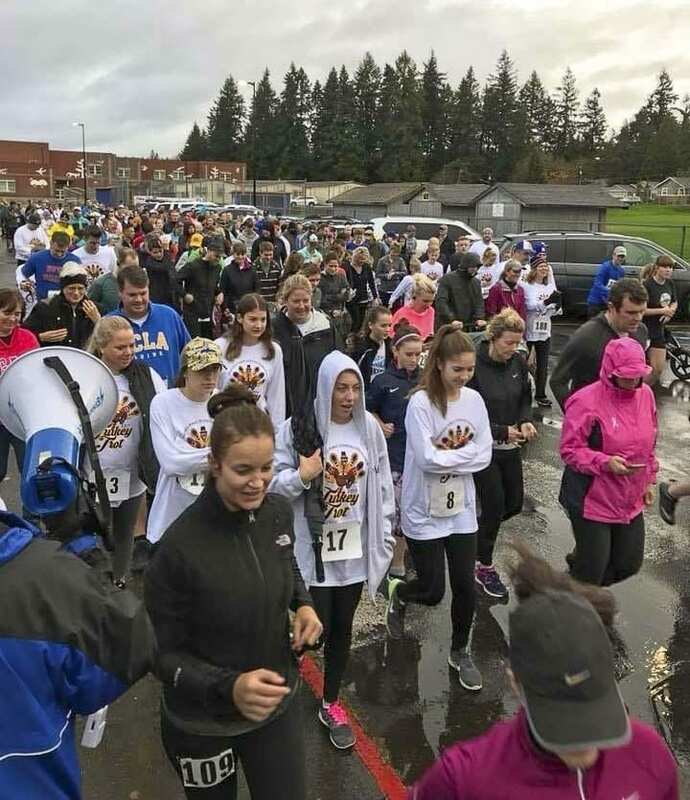 RIDGEFIELD — The Ridgefield Public Schools Foundation is hosting its second annual Turkey Trot Walk/Run on Thanksgiving Day, Thu., Nov. 22. Proceeds and donations from the event benefit the Ridgefield Public Schools Foundation and the Ridgefield Family Resource Center. Go to http://www.ridgefieldpsf.org/turkey-trot to register online or to download a registration form containing event details. Race participants are encouraged to bring non-perishable food items when they pick up their race packets on Wed., Nov. 21. Food items will also be accepted during registration on race day. All food items benefit the Ridgefield Family Resource Center. Each food item donated will generate a raffle ticket entry for a drawing to win $100 worth of gift cards for local Ridgefield restaurants. Winners will be announced during the Awards Ceremony after the race. The Ridgefield Public Schools Foundation is grateful for the support of its Presenting Sponsors, Krippner and Opsahl Dawson, its Supporting Sponsors, Northwest Funding Group, Inc., Draper Orthodontics, Royal Throne Restrooms, RPM Mortgage, Advanced Excavating Specialists and Ridgefield School District; and the many Race Sponsors whose support makes this annual event possible.